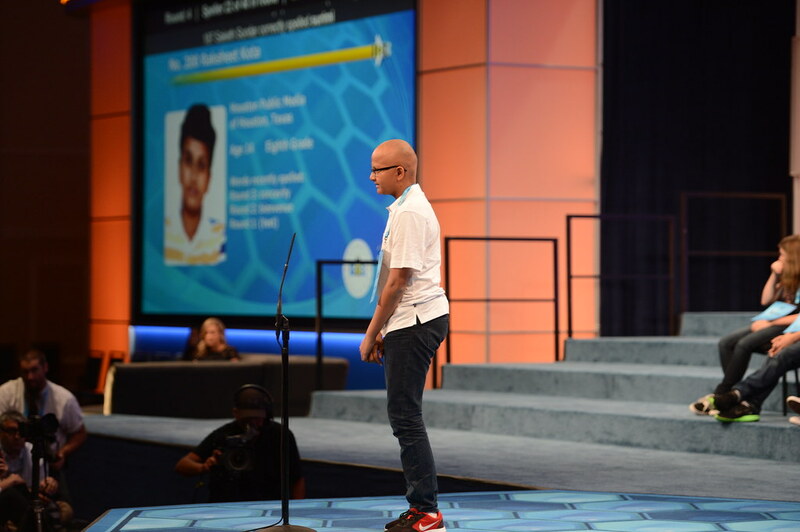 Raksheet Kota, speller 200, is in his first year at the Bee. And he made it to the Finals. Raksheet also likes math – he likes solving problems. “When you spell a word you don’t know, it feels really good,” he said. With his twin sister, he started a math and science club. He also participates in Science Olympiad and the math team. Earlier this year, he won a gold medal at the Science Olympiad competition. He misspelled oedemerid, a soft-bodied elongate beetle that is usually strikingly colored and whose larvae feed on decaying wood.